When we think of art, our minds most often jump to paintings and sculpture. Indeed, Da Vinci’s Mona Lisa and Michelangelo’s David are picturesque example of what are minds generally classify as art. However, we mustn’t be too quick to draw lines or build boxes with which to encapsulate or define what it means to be an artist or what mediums qualify as art. Art knows no boundaries and no system can contain or restrain it. Art comes in many fashions and often allows us to find a side of ourselves we would have never known otherwise. Take Denise Temofeew, for example; Dense was a successful creative director and copywriter who left the world of advertising in order fulfill her passion as a metalsmith and jewelry artist. This is a prime example of art and an artist who transcend the everyday stereotypical definitions imposed by narrower minds. She serves as inspiration for those looking to unleash their own inner artist and to create their own masterpieces. If this sounds like you, we invite you to join one of art classes. We cater to every age and skill level with art instruction that’s guaranteed to help you develop your style and refine your technique, allowing you to create your own works of art to enjoy for years to come. 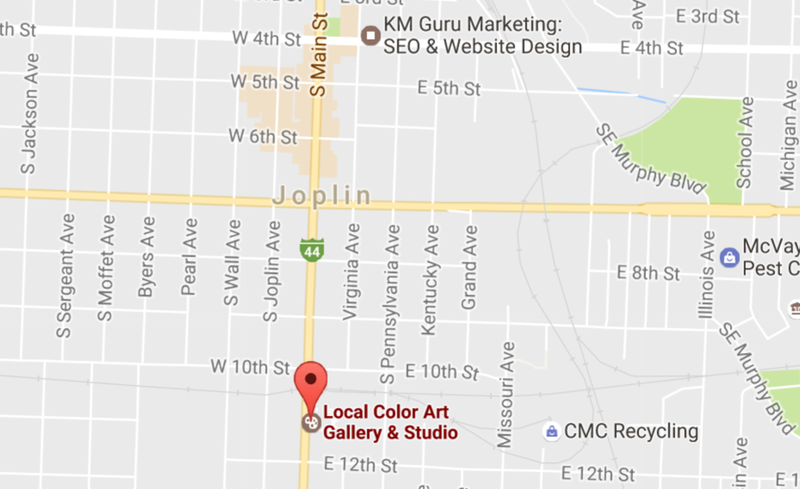 To learn more about these offerings, come visit our art gallery in Joplin, MO and ask about upcoming classes. We look forward to hearing from you. WE HAVE BUTTERFLIES IN THE GALLERY!!! Come choose the one you want to take home with you.